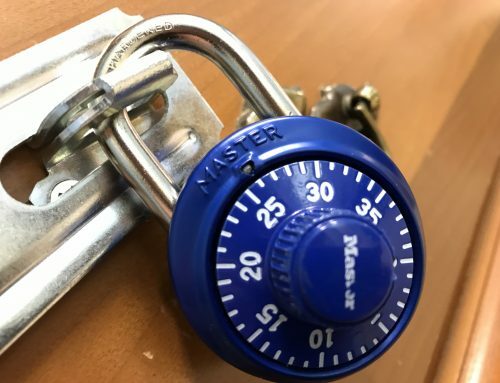 As we are preparing to open, we’ve recently heard a few reasons presented from people who have never done an escape room and are too nervous or scared to try. We’d like to help lay those fears aside because many of them are misconceptions. Do you fall into one of these categories? We recently met a woman who explained that she would never try an escape room because she doesn’t like to be scared. We assured her that with our current rooms, she need not worry because our rooms are not intended to cause fear. If you’re ever in doubt, read through the room description or feel free to call ahead with questions. This is a legitimate concern for someone with claustrophobia. However, our first setting is a large bedroom with plenty of room to move around and things to explore. Our second room is very large, over 225 square feet! And once you get in there and get started, you’ll focus on the fun and forget all about the size of the room! I don’t want to be locked in somewhere that I can’t get out. What if something happens outside the room and we get trapped? Or what if I have to go to the bathroom or take an important call? These are also legitimate concerns and we can assure you that in our rooms, you are never locked in. The door you enter will always remain unlocked and you can open it and walk right out at any time. 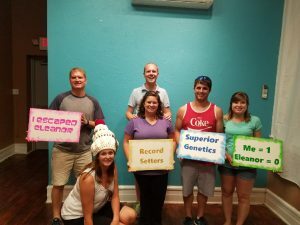 While escape rooms are a new idea and thoroughly enjoyed by millennials, the rooms are definitely not intended for just young adults or kids. Check out the diversity of our test groups! You’ll see we had a wide mix of ages come and everyone thoroughly enjoyed themselves. As long as you come wanting to have fun and are willing to put on your thinking cap, you’ll enjoy every minute you spend with us! I don’t really understand what it is. To be honest, this is the root of all of the above concerns. The term “escape room” should never conjures fears of horror movies or confinement. 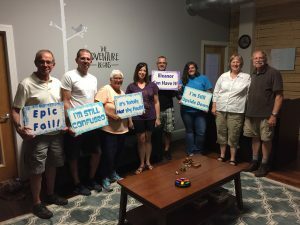 By our definition, an escape room is where you and a group of others are “locked” in a themed room for an hour and you have to solve puzzles, riddles, ciphers, etc. by using reasoning skills and abstract thinking to escape before time runs out. Fun right? We hope this has helped to clear up any misconceptions you may have about what we offer. The last thing we want is for you to miss out on the fun! We open September 1st and would love for you to come check us out!